Insider-out: Finishing school for Governors? On the agenda will be the usual fare, higher education, university governance, environment, agriculture, the law and order situation in the various states. The annual Governors conference at the Rashtrapati Bhawan — the last one of the NDA-II tenure — is scheduled to take place on June 3. On the agenda will be the usual fare, higher education, university governance, environment, agriculture, the law and order situation in the various states et al. Three sub-committees have been set up. What’s also on the list, but not being spelt out in so many words, is a class on gubernatorial etiquette. No surprise there, President Ram Nath Kovind’s said to be deeply unhappy with Tamil Nadu Governor Banwarilal Purohit’s behaviour, so unbecoming of the high office. The tattle on what prompted Rahul Gandhi to send the LoP and Kapil Sibal to spearhead the impeachment move against the CJI, Dipak Mishra, overruling MMS and his party old brass, has been overtaken by speculations on what Venkaiah Naidu would do next. The Vice-President, as the Rajya Sabha chairman, is not bound by any timeframe within which he has to decide on the contentious matter. Plus, there’s no precedence of an impeachment move against a sitting CJI, so Naidu has to seek all the legal opinion he can get before taking a call on whether to set up a committee, and under whom, or just simply reject. Putting it in deep freeze, many believe, is an easier option. Once the counting for Karnataka polls is over, the Modi Government will go into celebrations whichever way the state swings! The Prime Minister wants to kick-start the beginning of five years at Delhi durbar with a bang -- five short films on each ministry, to be loaded onto social media networks, Twitter, Whatsapp, et al. No voters will be left uninformed about government programmes. But the opposition too is preparing hard. Congress research wing head Rajeev Gowda’s coming out with a booklet on “economic mess” and the Left with small capsules on each sector. It’s an all-out info war on the anvil. Janardan Dwivedi, one of the longest-serving Congress general secretaries, incharge of the organisation and training, was recently replaced by Ashok Gehlot. While the idea was to give Sachin Pilot a free hand in Rajasthan, where Gehlot has a vested interest as the former CM, JD became a casualty. He had to not only make way for Gehlot, he had also to sign his own exit note, with a few lines on his contribution to the Congress party! 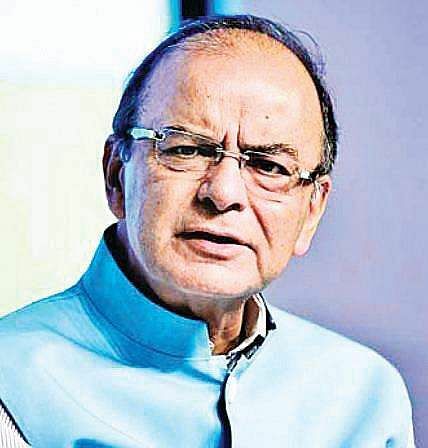 Of the many ‘get-well-soon’ wishes that landed in Finance Minister Arun Jaitley’s inbox, the one he’s said to have singled out for a response was from the Bihar CM, Nitish Kumar. After all, Kumar’s ‘good relations’ with Jaitley withstood the (now ertswhile) Bihar grand alliance and paved the way for his ghar wapasi to the NDA. The rest, as they say, is history. It makes sense to ensure there’s no new revisionist twist in that history.